The Dublin minor hurlers got their second win in this afternoons Leinster Championship round-robin game, beating Wexford. Based on the tables following today’s games across the three tiers of the competition, Dublin have finished second in Tier 1 behind Kilkenny, meaning they will likely play the winners of the Carlow v Antrim preliminary qualifier match which will take place next weekend. Donal Leavy and Seamus Fenton were Dublin’s top scorers this afternoon with 0-07 between to conclude the round-robin stage at Parnell Park. Kilkenny, Dublin, Wexford and Laois were all already guaranteed provincial quarter-final berth in this year’s new format for the U17 grade and Dublin will next be in action on June 16th. Today’s game was a tough one and Dublin should have won by a wider margin, but sadly finished with only 13 men and conceded a late AJ Redmond goal. 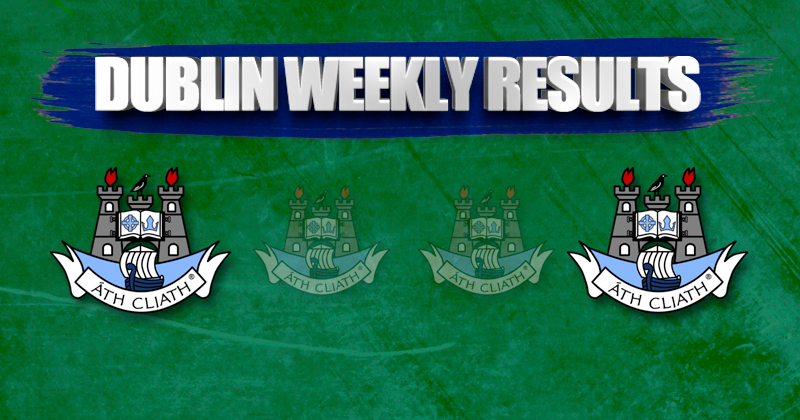 After a slow start in extremely bad conditions Dublin led 0-9 to 0-6 at the half-time interval. Wexford enjoyed an early three-point advantage before Dublin got moving in the right direction. Donal Leavy fired up the boys in blue with 0-02 before Seamus Fenton converted a free. Fenton then added another point and with Darragh Power also getting on the scoresheet Mike Connolly’s men were three up at the break, 0-9 to 0-6. The Dubs wasted some amazing opportunities in the second half but Ciarán Foley was twice on the mark to keep his side on top. 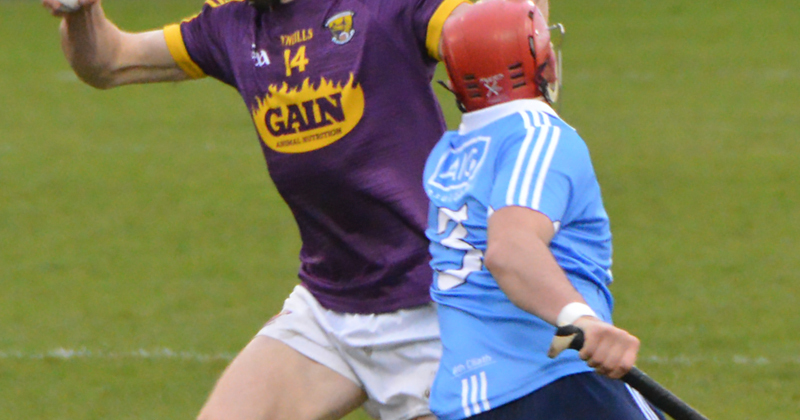 Wexford’s Thomas Murphy was dismissed in the 44th minute but Dublin lost corner-back Adam Waddick three minutes later and ended the match with 13 after a second booking for Ciarán Hogan. D Leavy 0-04, S Fenton 0-03 (1f), C Foley, S Foran 0-2 each, C Hogan, A O’Neill (1 ‘65’), D Power, D McLoughney, A O’Toole 0-01 each. AJ Redmond 1-04 (0-03f, 1 ‘65’), C Molloy (2f), J Kehoe (2f) 0-02 each, T Murphy, Z Firman 0-01 each. J Lambert; A Waddick, E Carney, F Murphy; C Hogan, A O’Neill, I Ó hEithir; D Leavy, D Power; D McLoughney, C Foley, C Murray; S Fenton, L Swan, A O’Toole. Subs: S Foran for Power (52), D Breslin for O’Toole (55), P Christie for Swan (57). D Hayes; F Roche, R Scallan, N Rowesome; E Doyle, D Codd, J Kirwan; C Molloy, D O’Neill; O Whitty, T Murphy, J Kehoe; R Lawlor, Z Firman, D Cantwell. Subs: AJ Redmond for O’Neill (ht), P Whitty for O Whitty (45), P O’Connor for Kehoe (52), S Walsh for Kirwan (56).